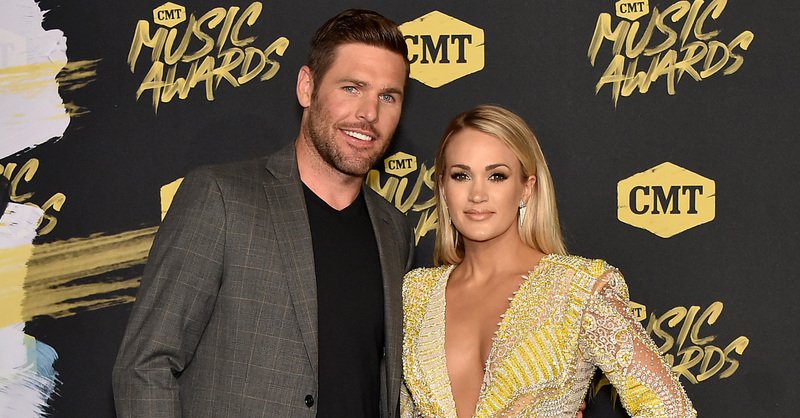 Carrie Underwood is celebrating her 8 year wedding anniversary with Mike Fisher! Here’s to 8 years, babe! Where does the time go?! I love you today more than yesterday…which was more than the day before…and so on and so forth. Here’s to many more years together! ❤️ you! The couple looks adorably in love in the photos with Mike leaning in to give Carrie a smooch in one. Mike, who plays for the Nashville Predators now, met Carrie at a backstage meet-n-greet after her bassist Mark Childers convinced her to meet his NHL pal. At the time he was playing for the Ottawa Senators. After several years of long distance, the duo wed on July 10, 2010, in Georgia. They welcomed their son Isaiah in 2015. Congrats to the happy couple on their big milestone!